We Now Offer The Raindrop Technique! The modern way of living has changed and along with it, so has our health. Toxins enter our bodies constantly throughout the day through the air we breathe, the food we eat and even the substances we put on our bodies. All of these toxins have very negative effects on our bodies from back pain to migraines etc. 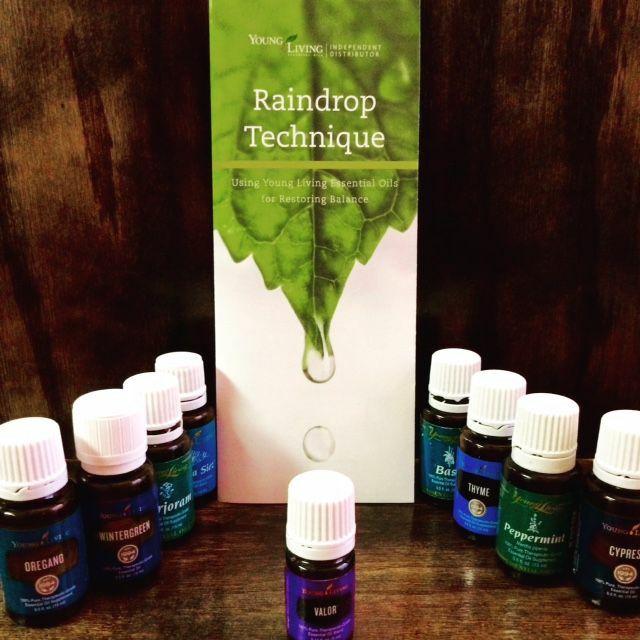 The raindrop technique uses essential oils to help dispose of these toxins and help provide a healthy balance to the body. Essential oils are oils extracted from plants, roots, bark, flowers and, amazingly, are able to positively affect the body and mind! One drop has the ability to improve our bodies. They are highly capable of making change within the body's major organs. The oils are dropped, in a specific order, 6 inches from the spine mixed with a variety of massage techniques. The raindrop technique is an amazing alternative to medicines because it is all natural and very healthy for you! Call or book an appointment online to try this new technique that we now offer at La Salon Bianca!